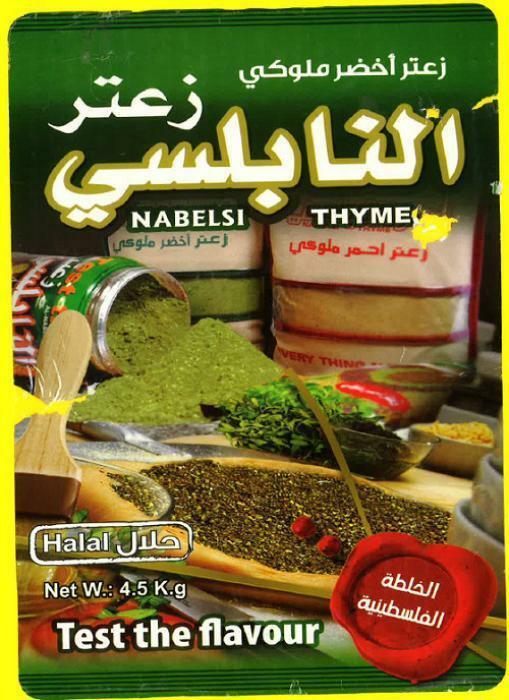 Aroma Imports of Dearborn Heights, Mich., is recalling 450-g and 4.5-kg packages of Nabelsi brand thyme. The product may contain excessive levels of lead. There have been two cases of high blood levels of lead associated with this product to date. The recalled product was distributed from November 7, 2016, until February 22, 2017, to retailers, food service establishments, and wholesalers in Michigan, Illinois, Ohio, New Jersey and Virginia. The 450-g size (UPC: 4670000205314) is packaged in a mostly green foil/mylar bag that is not transparent on either side. The 4.5-kg size (UPC: 6670000205374) packaging is a silver foil/mylar bag. The production date for both sizes is 08/20/2016 and the expiration date is 08/20/2018. The production and expiration dates can be found on the back lower left corner of the 450-g package and back lower right of the 4.5-kg package. The 450-g packages are packed 24 per case and the 4.5-kg packages are packed two per case. Consumers with questions may contact the company 313-724-7157 Monday – Friday 10:00 AM – 6: 00 PM (EST).